Back when the late Timothy Leary was promoting the controlled use of LSD for the treatment of certain mental health issues, alcoholism and prison recidivism, we were also hearing horror stories from government agencies that the psychotic effects were so dangerous the drug had to be prohibited. Rated as a Schedule 1 drug, people caught by authorities possessing, selling or manufacturing LSD are usually sentenced to long prison terms. Yet some contemporary psychologists are arguing that the drug has been given a bum rap. They are asking for a relaxation of the laws so they can have permission to study the effects of the drug and consider it as a tool for treatment of a variety of human habitual problems and some forms of mental illness. Leary, a trained psychologist, claimed success in treating patients with LSD and other mind altering drugs under controlled conditions. He popularized LSD in the 1960s with lectures and books that encouraged students in the United States and Europe to "turn on, tune in and drop out." Needless to say Leary was arrested and imprisoned for drug-related crimes. When LSD was declared illegal in the late 1960s, the propaganda machine went into full gear. Warnings were issued about "bad trips" and cases where users went insane, never to recover from "an acid-induced psychosis." One report, still available on line, reads: "The ability to make sensible judgments and see common dangers is impaired. An LSD user might try to step out a window to get a closer look at the ground. He might consider it fun to admire the sunset, blissfully unaware that he is standing in the middle of a busy intersection. "Many LSD users experience flashbacks, or a recurrence of the LSD trip, often without warning, long after taking LSD. 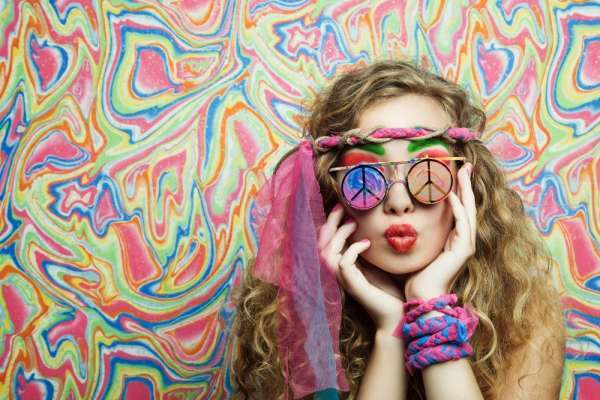 LSD users may manifest relatively long-lasting psychoses or severe depression," the story said. A new study published in the PLOS One journal by researchers Pal-Orjan Johansen and Teri Krebs of the Norwebian University of Science and Technology found that the warnings published in American scientific journals are nothing more than fabricated fiction designed to frighten potential users away from trying LSD. The study, which analyzed data on over 130,000 Americans who answered drug use surveys between 2001 and 2004, found "there were no significant associations between lifetime use of any psychedelics, or use of LSD in the past year, and increased rate of any of the mental health outcomes. Rather, in several cases, psychedelic use was associated with a lower rate of mental health problems." Krebs wrote: "Over the past 50 years tens of millions of people have used psychedelics and there just is not much evidence of long-term problems." Johansen added that earlier studies claiming psychedelic drugs damaged mental health "had been based on a small number of case reports from patients who were already mentally ill."
Kreps noted that other research has found that LSD "interacts with a specific type of serotonin receptors in the brain, which may stimulate to new connections and open the mind for new perspectives and possibilities." Another paper on the subject noted that investigators found that after using LSD, it was common for alcoholics "to claim significant insights into their problems, to feel that they had been given a new lease on life, and to make a strong resolution to discontinue their drinking." That Leary, members of "The Merry Pranksters" who followed the Grateful Dead band, and other notables including Albert Hofmann, the Swiss chemist who accidentally invented LSD, consumed large amounts of the drug for much of their lives, escaped any ill effects is significant. While somewhat radical as a recreational drug, LSD is not harmful, it is not addictive, and if anything, it might well be an important tool for solving addictive and some psychological misbehavior.